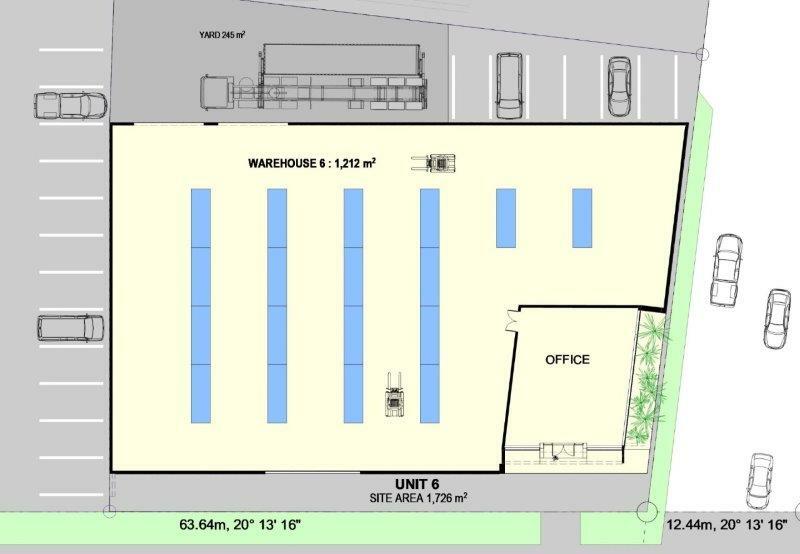 A concept design for a warehouse development with a floor area of 1212m2 and an office space of 128m2. The design was intended to attract a premium tenant for the building owner who was in the process of developing a site in an established industrial area. The end use of the building was expected to be an office / showroom / warehouse type operation.